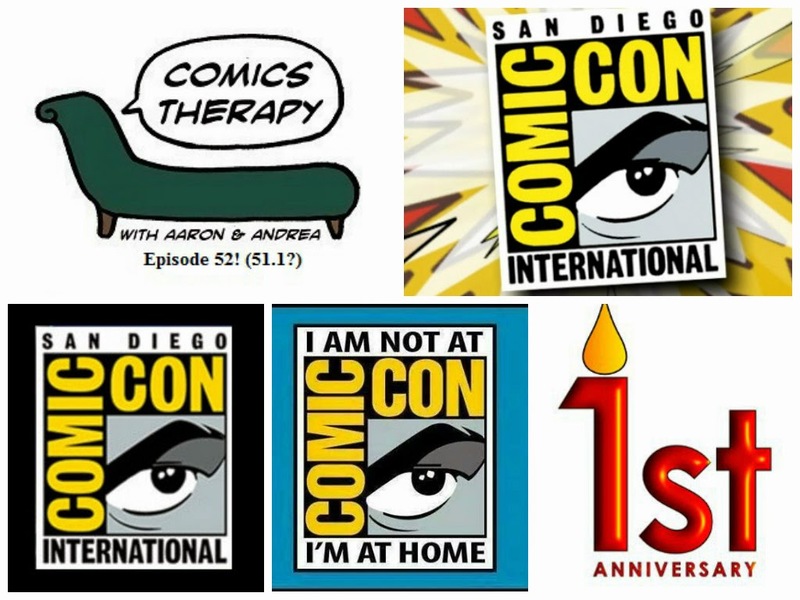 This week’s show is short and sweet, with some fun stories from Aaron about his glory days in San Diego and some specifics about how to find Andrea if you’re going to be at the con. In a non creepy way, of course. Be kind and have fun. Those are the rules. Andrea's panel with Reading With Pictures is at 4pm on Friday, July 25. More information can be found here. If you aren't already, you can follow Andrea on Twitter at @andreashock. Or follow her partner in crime Rod at @roderickruth for pictures and shenanigans. You can also follow Aaron at @aaronmeyers, but he'll be in Oregon. Aw snap. Looking to meet up with us? Add your info to this list. Have a safe, fun SDCC, everyone! And happy anniversary, Comics Therapy. Here's to another great year.